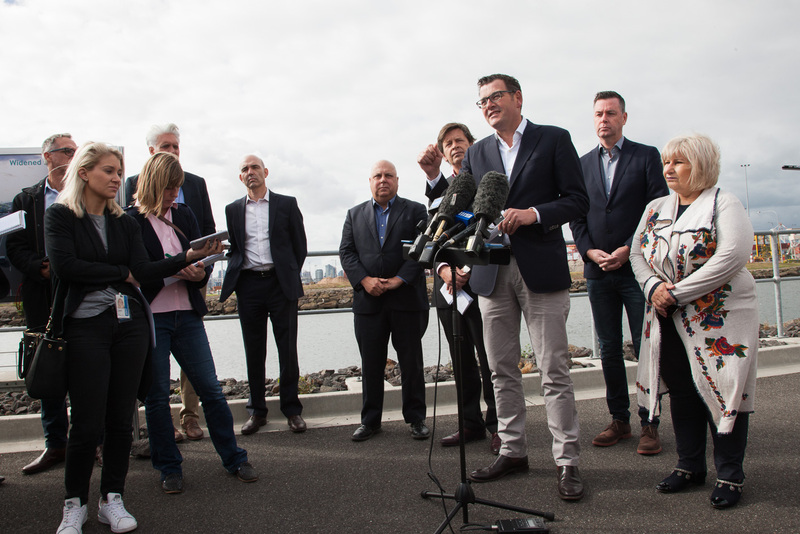 On Sunday 2nd April a media conference was held at Footscray Wharf, where Premier Daniel Andrews announced that once the Western Distributor was built 24/7 truck bans would be placed on Francis St, Somerville Rd, Buckley St and Moore St! 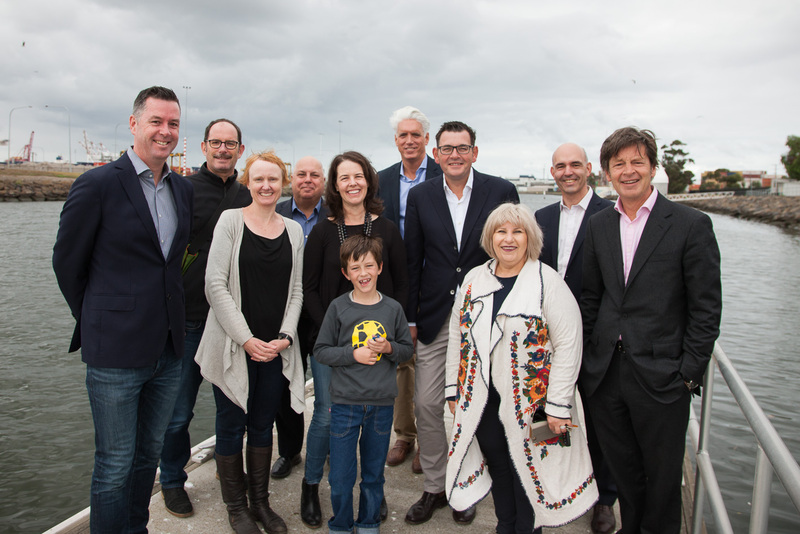 This is something we have been campaigning for ever since the project was announced two years ago and is absolutely crucial to ensuring the road works as a solution to the truck problem. 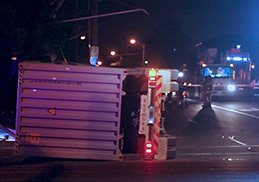 We are hugely impressed and excited at Labor’s new commitment to proving they are serious about getting trucks off residential streets in the inner west! But while a huge box has been ticked, some other sticking points remain. 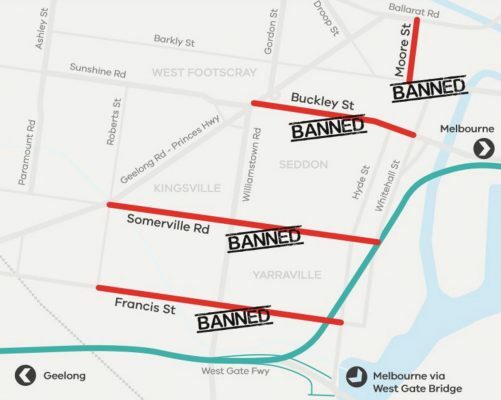 Williamstown Road and Melbourne Road also need truck bans to prevent them becoming a truck super highway, particularly for trucks accessing container yards in Tottenham. The tunnel must have filtration to prevent diesel particulates from entering the air shed, entrenching pollution and health problems in the community for eternity. 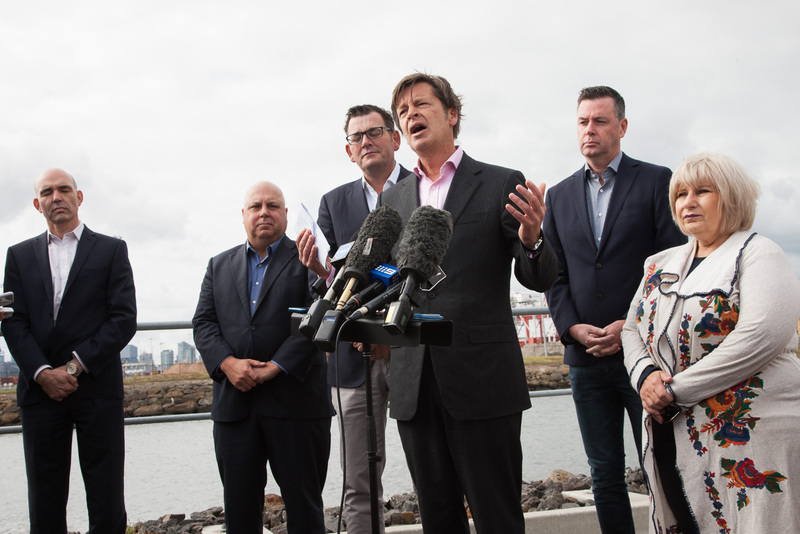 With the road at least 5½ years away, we urgently need more short term measures to protect the community before the bans come into play. 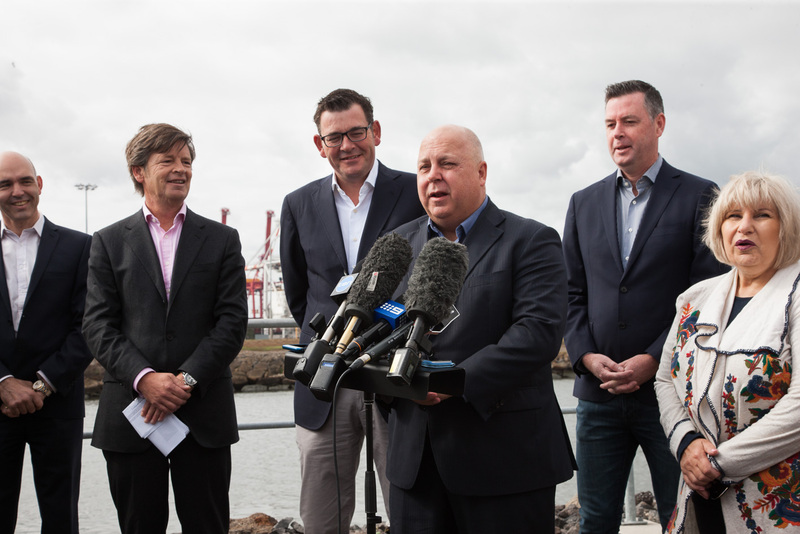 There are TWO more state elections before the Western Distributor is complete which means plenty of opportunities for the commitment on trucks bans to come unstuck. We learnt our lesson from before the 2010 election when the Truck Action Plan was supposedly going ahead not to rest on our laurels. We need to be vigilant in making sure the truck bans are on the agenda until they are legislated and set in stone! 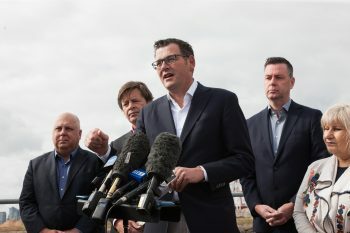 The story was covered by The Age, ABC and Herald Sun as well as the Channel 7, 9, 10 and ABC nightly news bulletins which MTAG were interviewed for. The Government put out a fact sheet and media release about the bans. After all, colleges, clean air, the cost of living, quiet neighborhoods are really vital. But, heartiness is more great . There are numerous of reputable online pharmacies that will offer legitimate discounts. Let’s talk about variant medicines. Many doctors ask about propecia results. You may have heard about generic viagra 100mg online (Read more finasteride reviews). Most consumers possibly believe the forcefulness of Finasteride is well documented. What remedy does treat the medical condition? So if you are experiencing the problems, it is essential to see a qualified dispenser instantly for a complete medical expertise. Don’t forget, the best way to avoid hokey medicines is to buy recipe medicines like Finasteride from a trustworthy online service with which you are relaxed. 1 response to "Truck Bans Announced!"